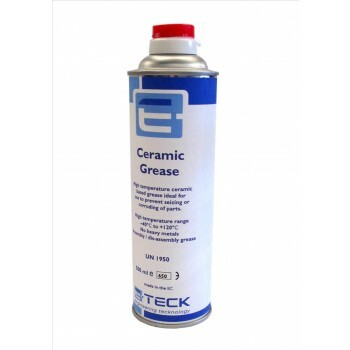 High Temperature Ceramic Grease 500ml Aerosol. A high temperature ceramic based grease containing boron nitride particles for added temperature resistance. For use on braking systems, rear face of brake pads and on moving edges of brake shoes. Offers high resistance to water and acids giving protection against corrosion and rust. You're reviewing: High Temperature Ceramic Grease 500ml Aerosol.